Got a problem with cockroaches? Use All Aspects Pest Control - your local expert cockroach exterminator. We have seen cockroaches in the kitchen, what are cockroaches? Cockroaches are beetle like insects of which there are around 4000 different species, three of which are known to be associated with man: the American cockroach, the German cockroach and the Oriental cockroach. These differ in colour and size with the American cockroach growing up to 40mm in length and reddish brown in colour. The German cockroach is similar growing to around 15mm with a yellow brown body with brown ridges and the Oriental cockroach is dark brown to almost black in colour and these grow to around 17mm to 30mm in size. We don't see cockroaches during the day where do they go? Cockroaches are nocturnal by nature and like to hide away in dark areas like beneath the kitchen units, they release a congregation pheromone when they find a suitable place and this attracts other roaches to that place. Cockroaches give off a unpleasant almond like smell and because large numbers build up this can become noticeable. They are equipped with strong jaws that bite down with a force which is 5 times greater than a humans. What damage do cockroaches do? 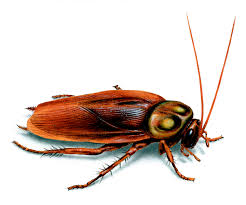 A high standard of hygiene is essential to combat cockroach infestations, by keeping the kitchen and food storage areas clean and waste food free, you will be refusing food to the cockroaches meaning they are more active and will take more insecticide. Cockroaches are on the increase in Reading, Wokingham, Bracknell and Maidenhead not only in commercial kitchens but in domestic properties as well. 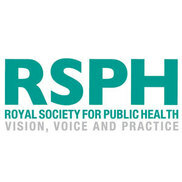 When you have a cockroach problem your business is at increased risk due to the potential of diseases such as dysentery, gastroenteritis, typhoid and poliomyelitis. 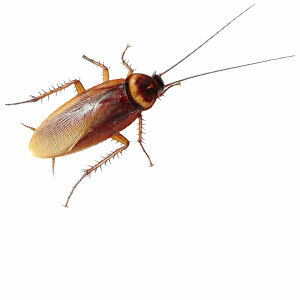 Cockroaches are a source of allergens which can lead to illnesses such as dermatitis, rhinitis, bronchitis and asthma. Insecticide must be placed around the cockroach harbour ages and maintained over the developmental period of that particular species. Immigration from outside infestations may demand routine treatments for your establishment to form part of your hygiene due diligence. The presence of cockroaches can destroy your business reputation, driving away customers and leading to loss of trade and ultimately even closure of a food business. 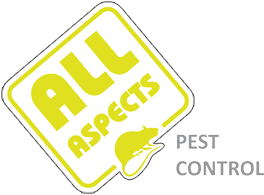 All Aspects Pest Control Reading provides a free telephone consultation if you think you have a cockroach infestation and we will advise you on the best course of treatment. 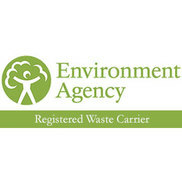 We provide a cost effective monitoring and baiting service which includes all the necessary paperwork to show Environmental Health Officers that you are taking proactive steps to combat any potential cockroach infestation. All and our technicians are qualified and insured and receive ongoing continuous training to provide the best quality pest control solution for your business.